Friday was a great day for Jordan Caillouet, as he clubbed two home runs to carry the Las Vegas Train Robbers (14-21) to a 10-6 victory over the Las Cruces Vaqueros (11-26) at Apodoca Park. Kyer Vega had an impressive outing against the Las Cruces Vaqueros lineup. 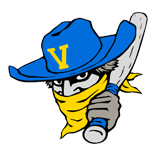 The Las Cruces Vaqueros managed just three hits off of Vega, who allowed no earned runs, walked three and struck out three during his four innings of work. Jake Taylor racked up three RBIs on two hits for the Las Cruces Vaqueros. He homered in the ninth inning. Casey Hood recorded his third win of the year for the Las Vegas Train Robbers. He allowed three runs over three innings. Hood struck out one, walked one and gave up five hits. Steven Cazares (1-3) was the games losing pitcher. He allowed six runs in three innings, walked one and struck out three. 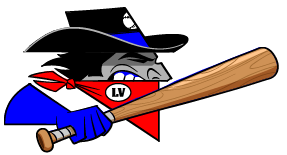 The Las Vegas Train Robbers were sparked by Caillouet and Anthony Renz, who teamed up for five hits and five RBIs.